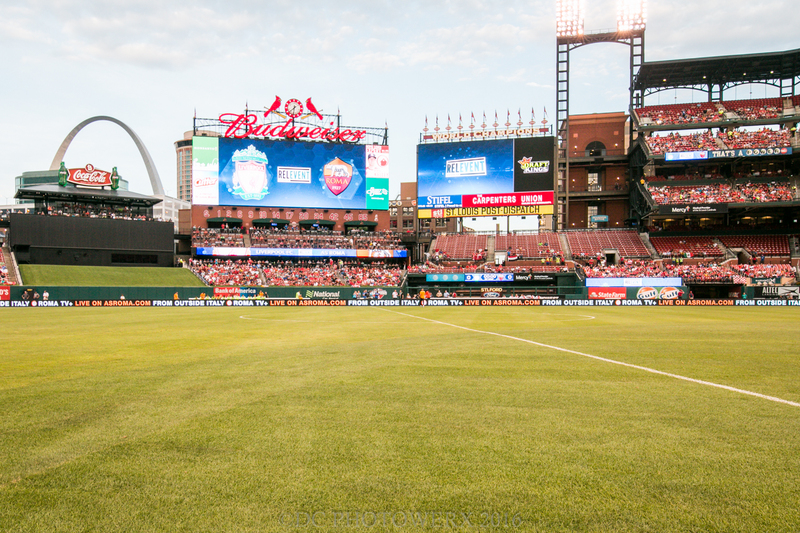 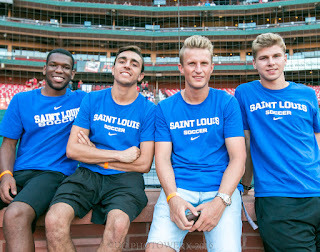 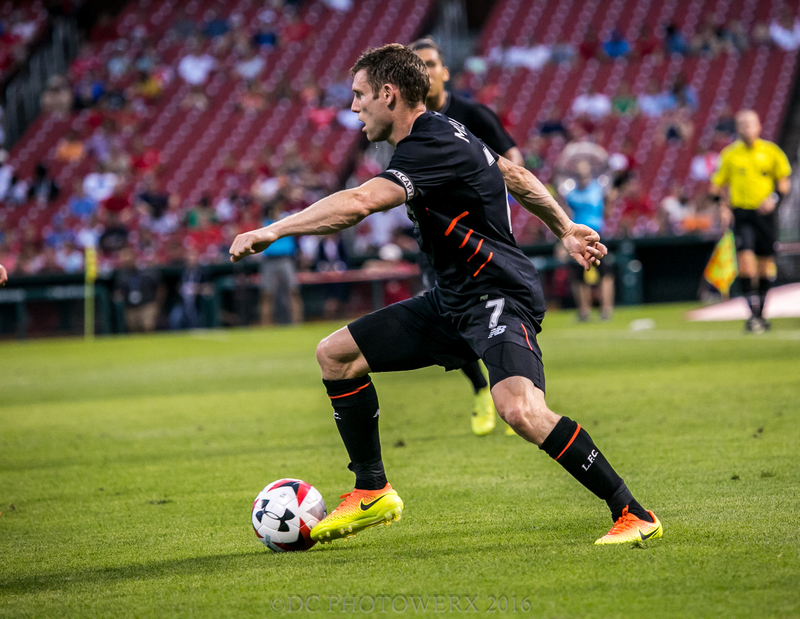 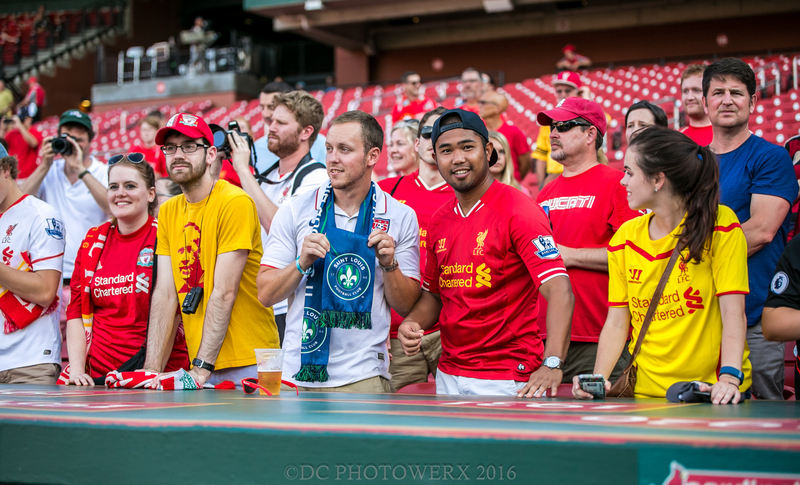 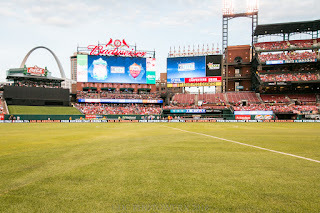 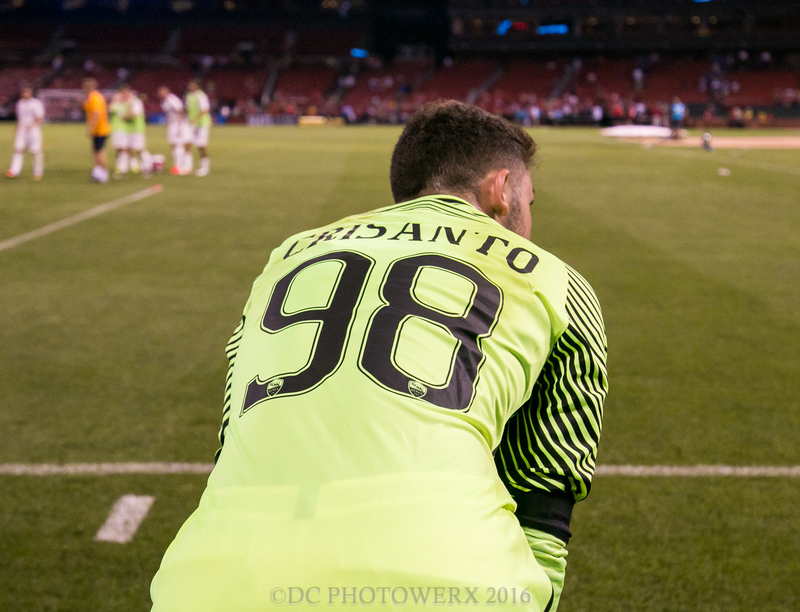 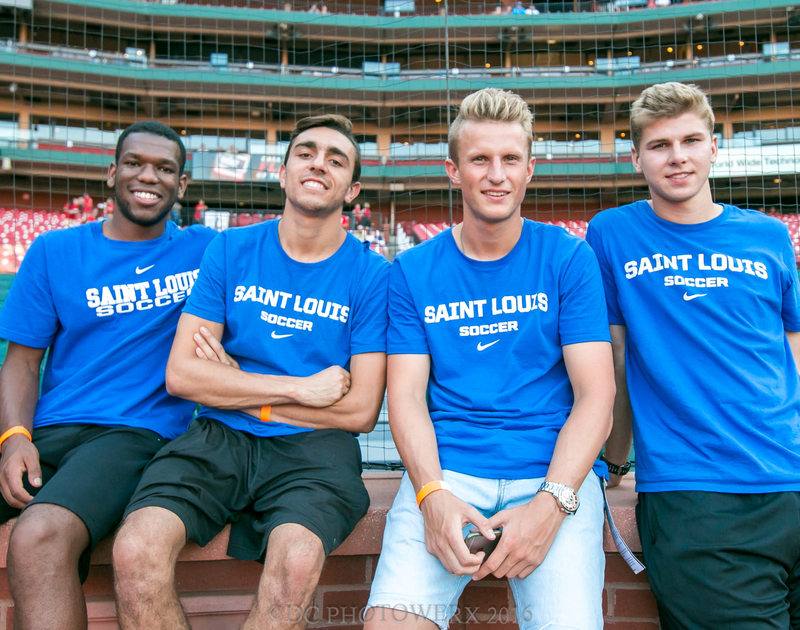 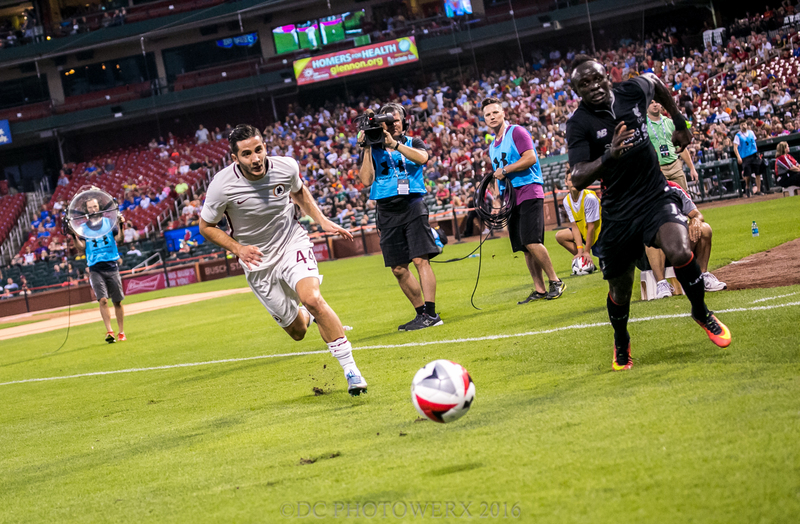 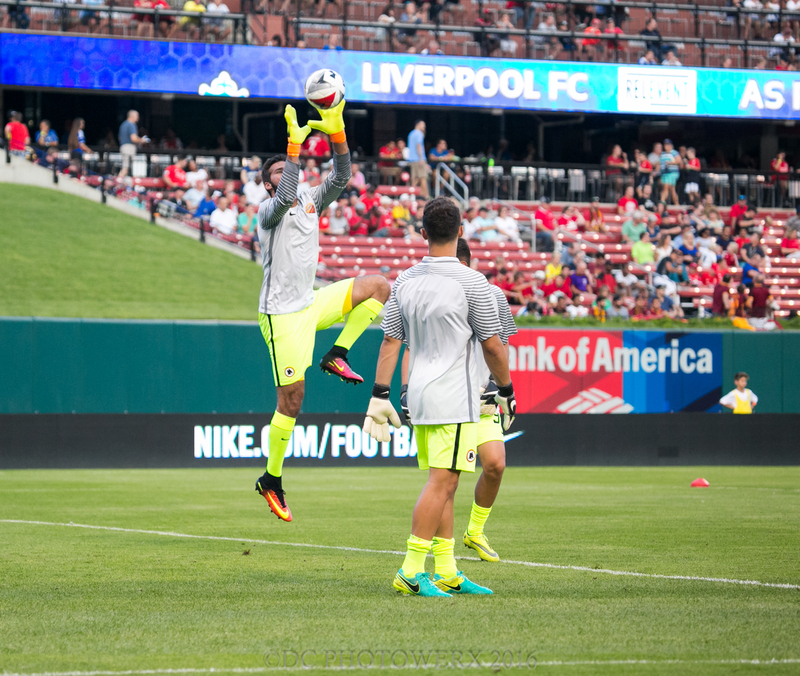 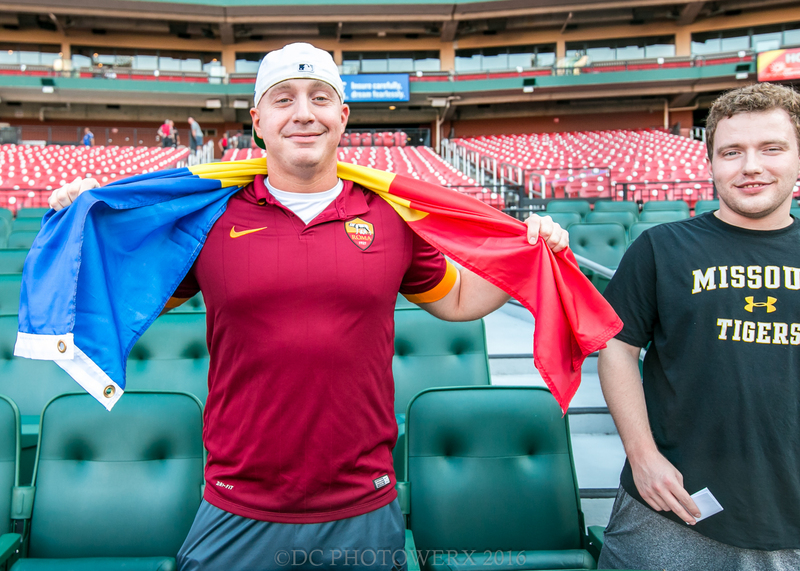 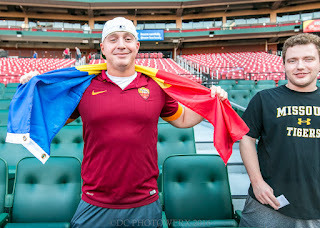 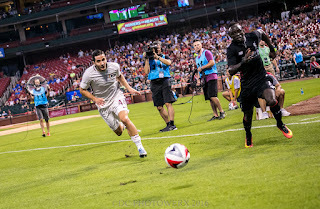 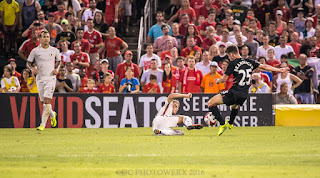 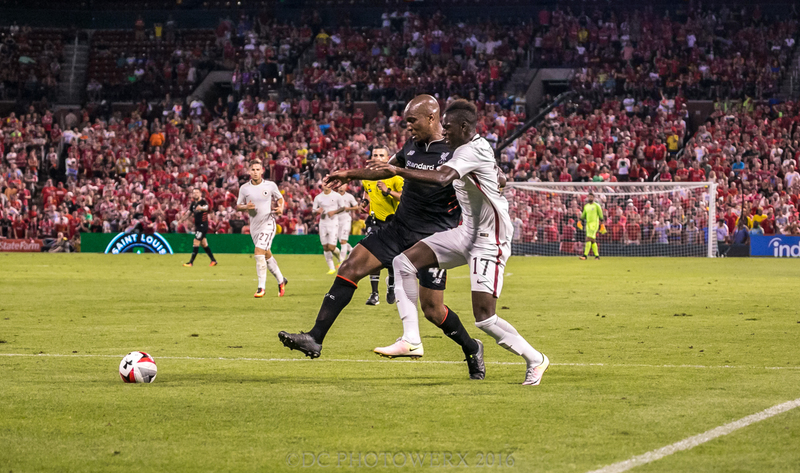 While the St. Louis Cardinals were on an extended road trip, a majority of Busch Stadium in St. Louis was transformed in to a soccer field. 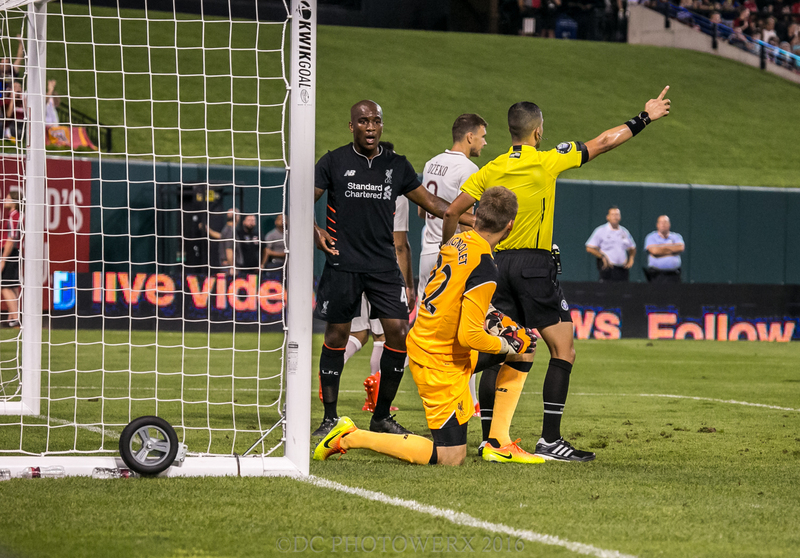 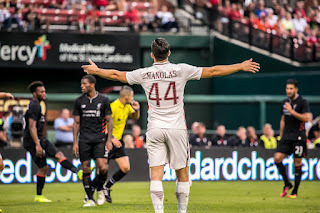 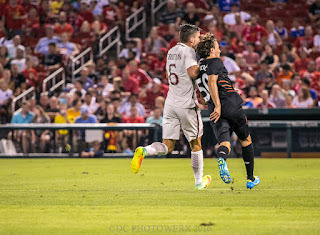 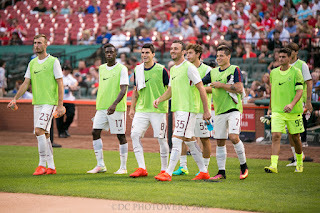 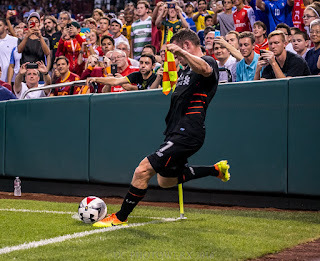 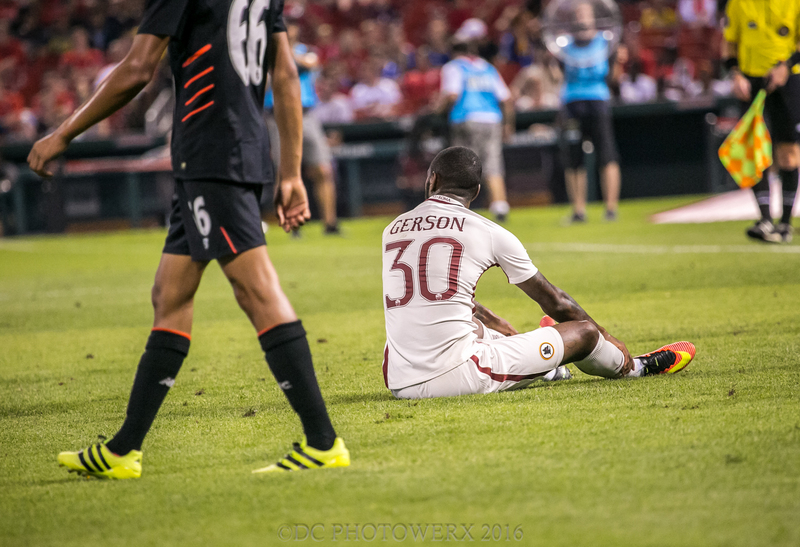 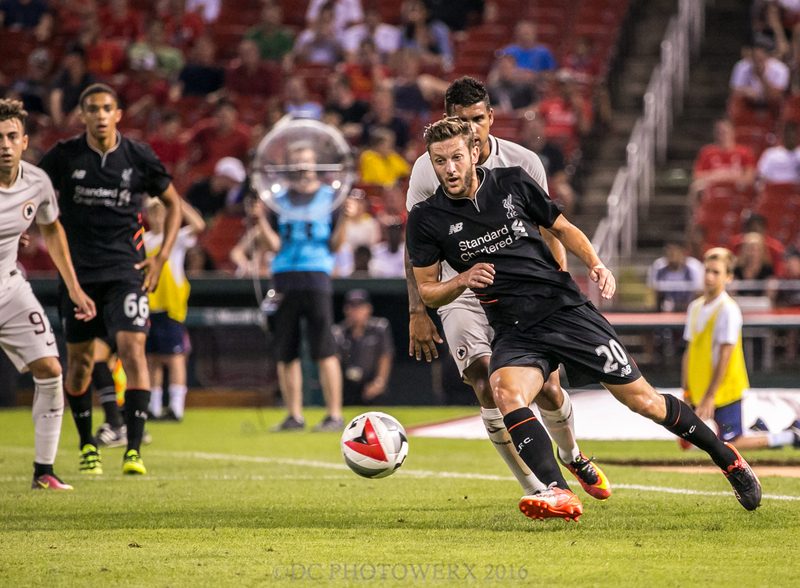 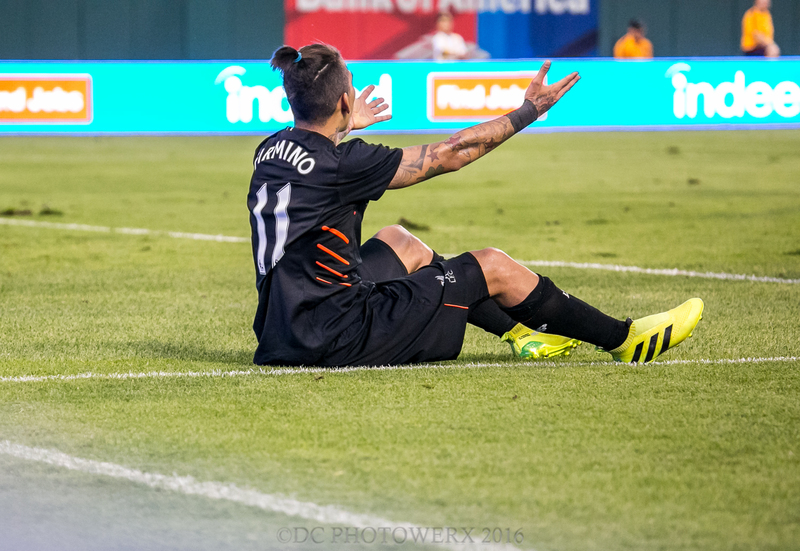 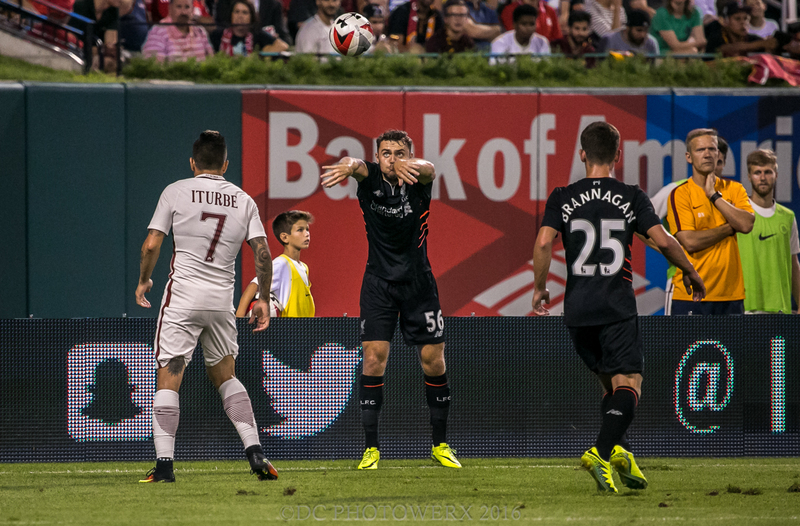 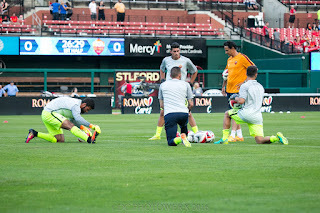 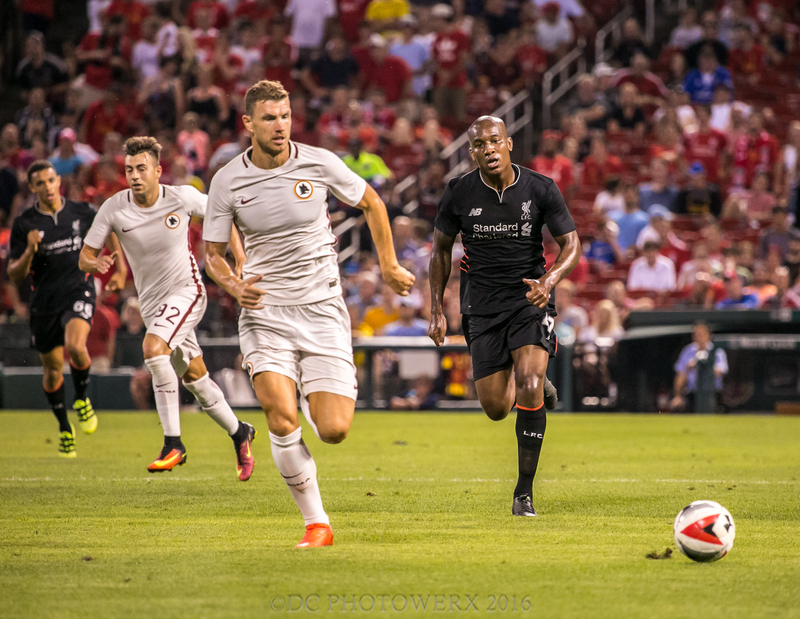 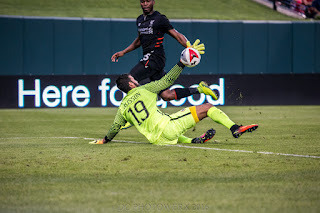 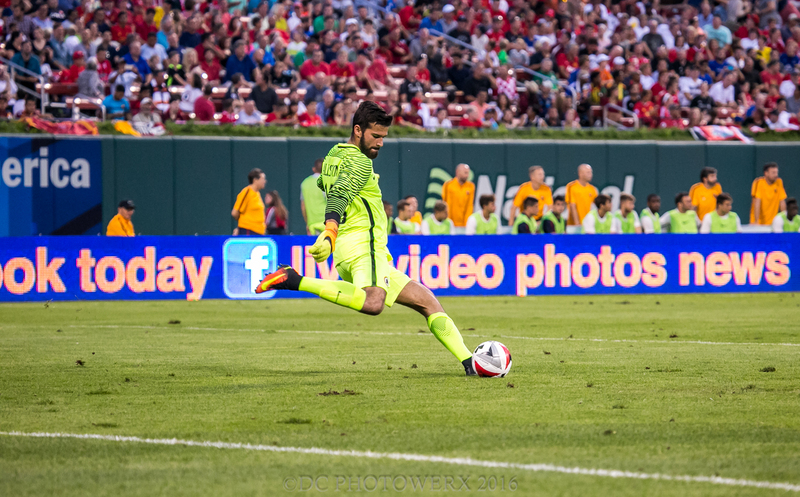 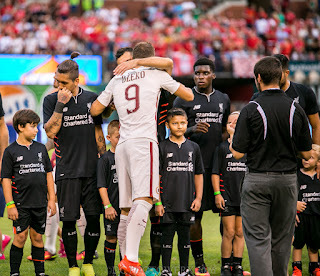 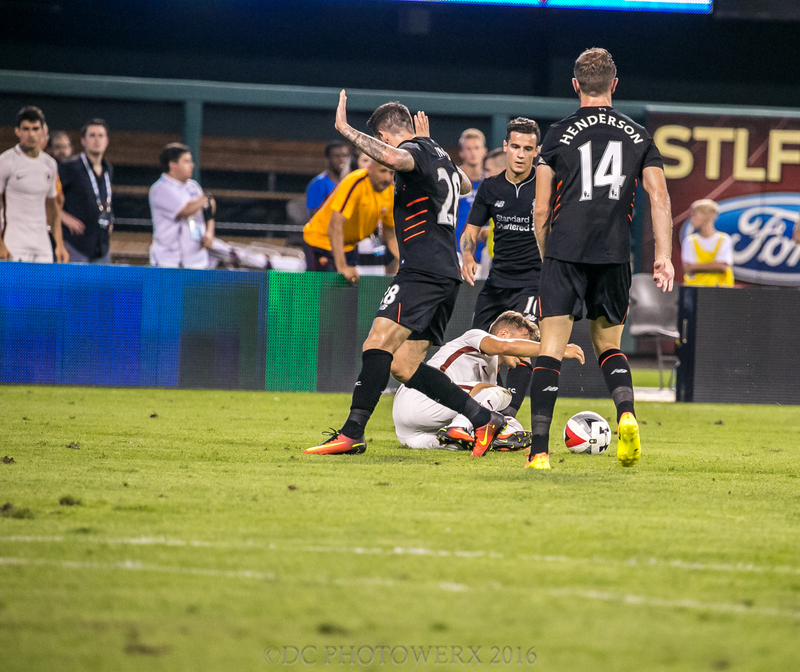 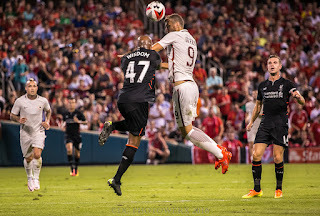 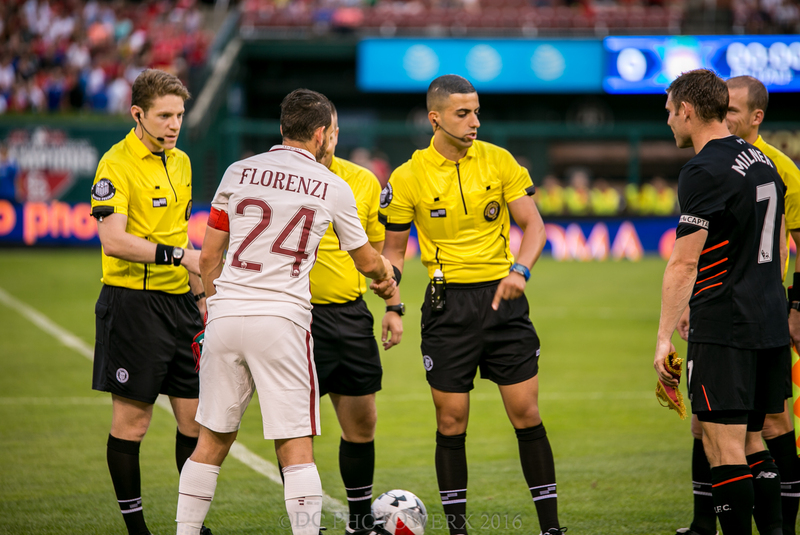 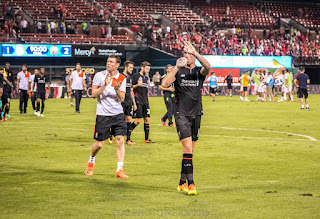 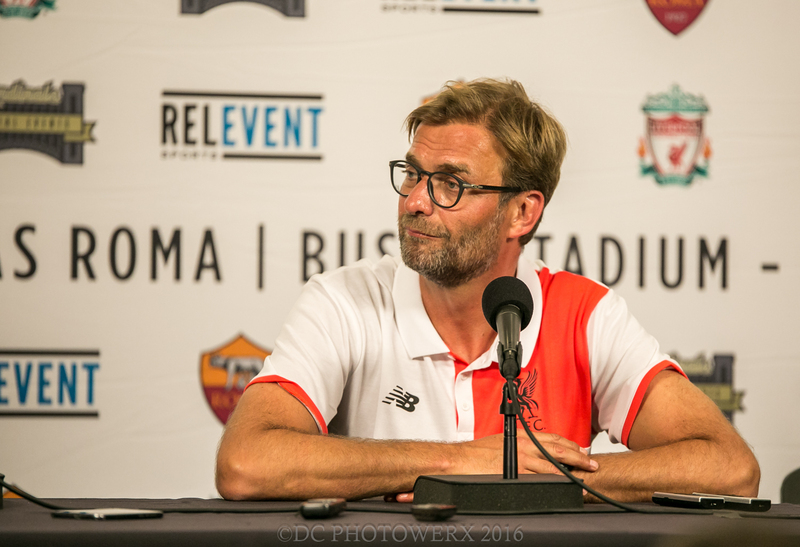 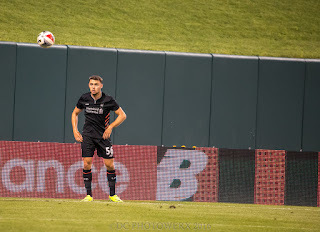 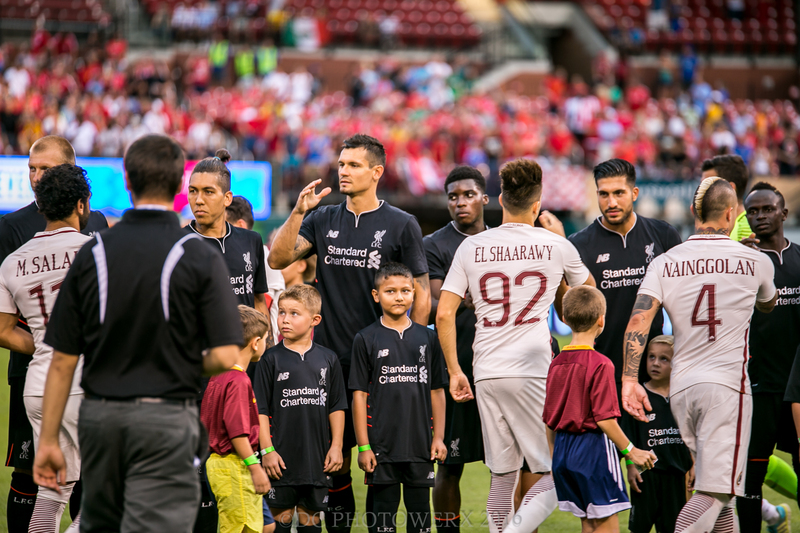 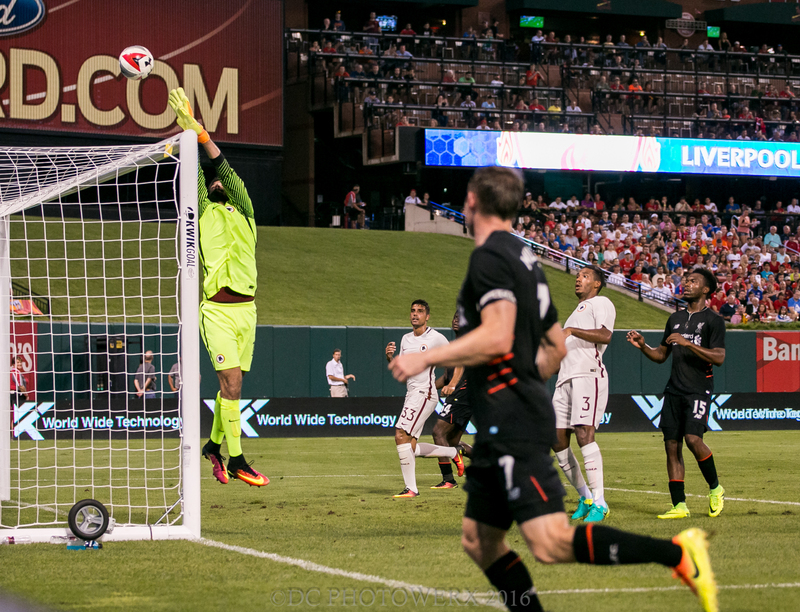 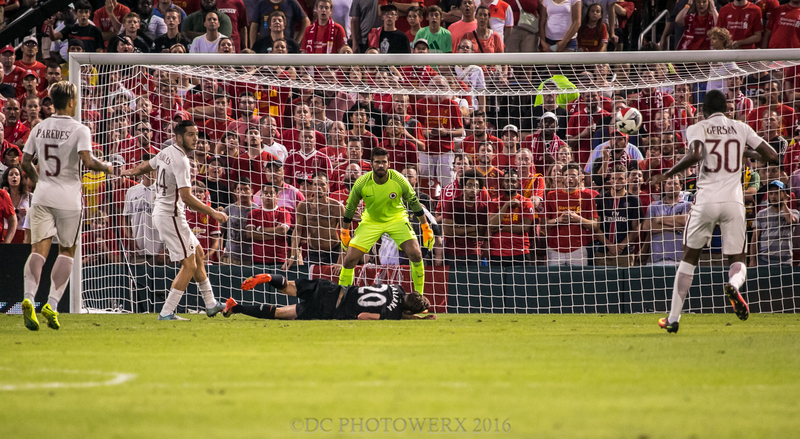 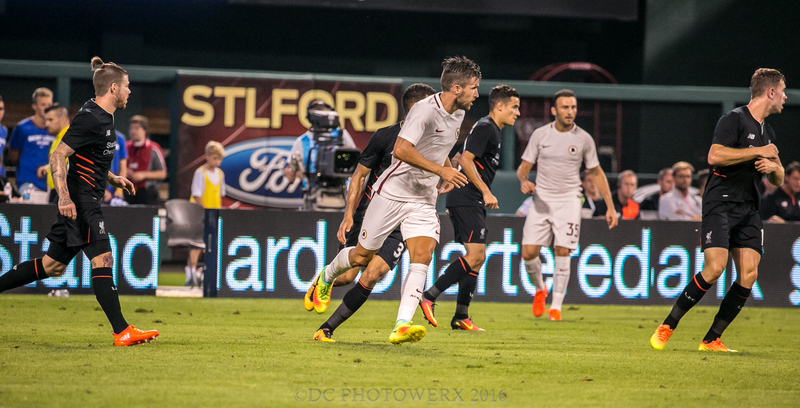 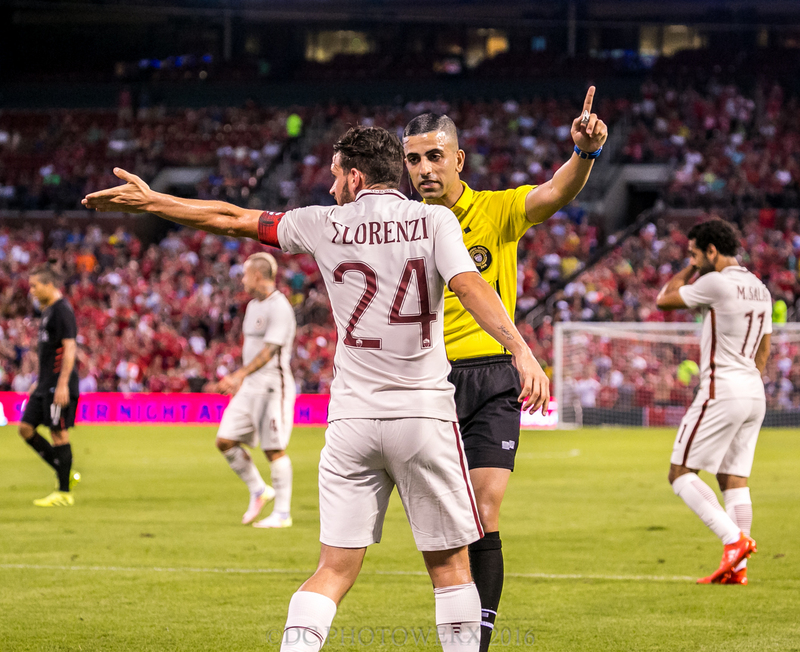 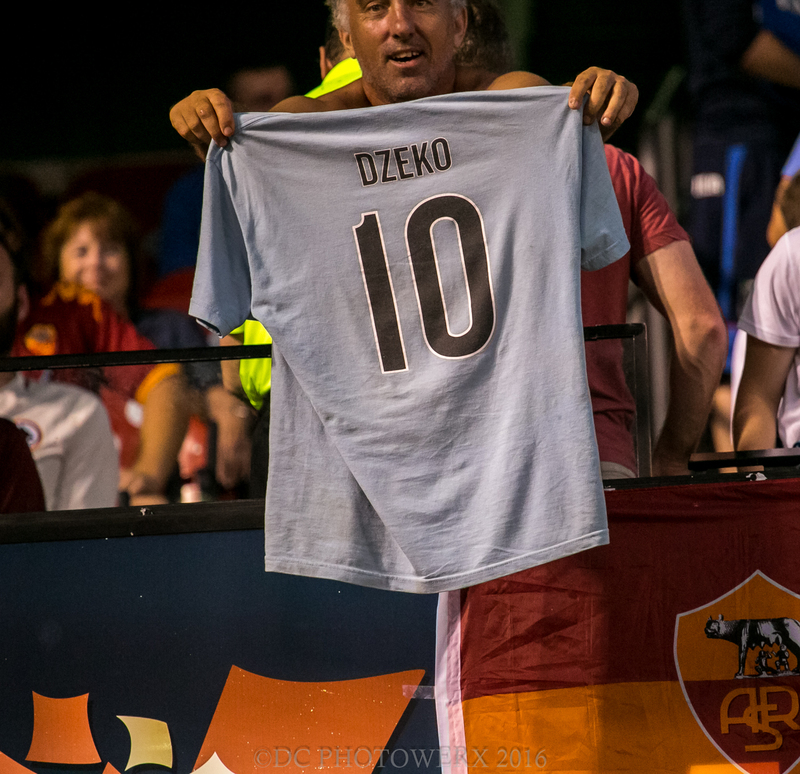 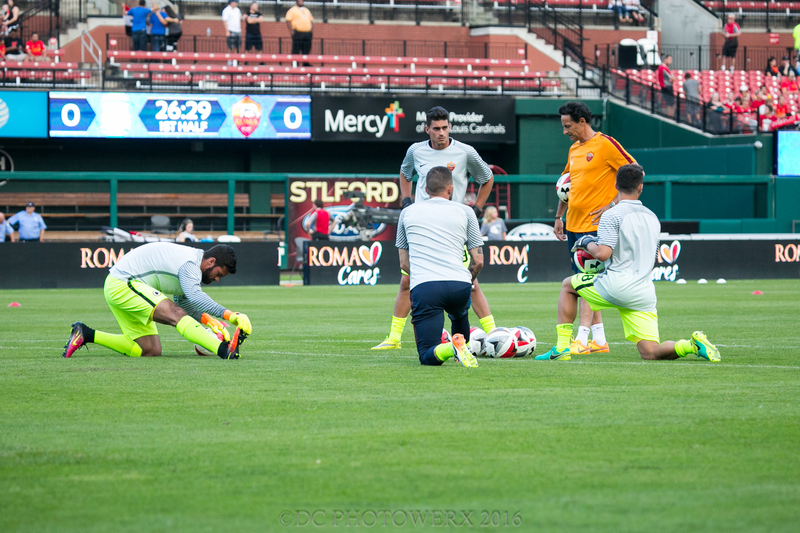 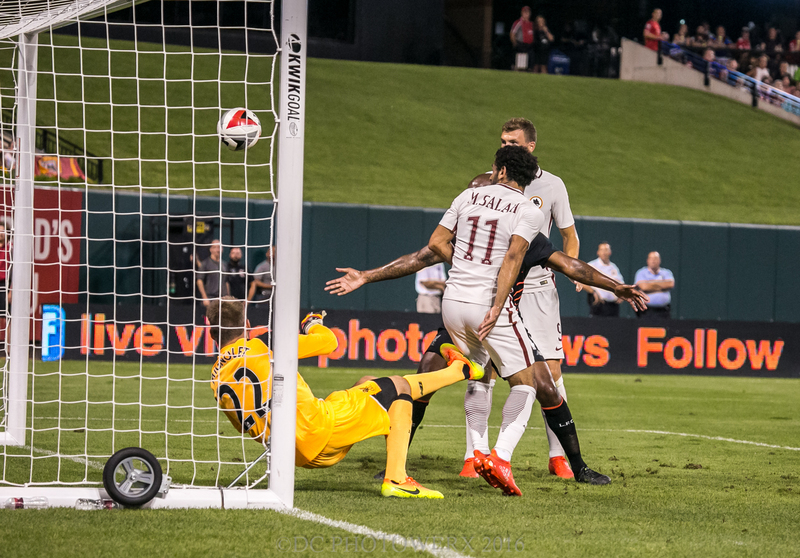 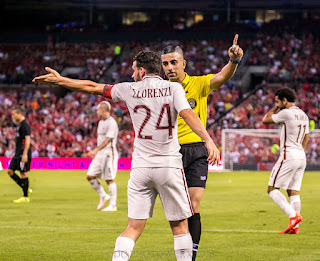 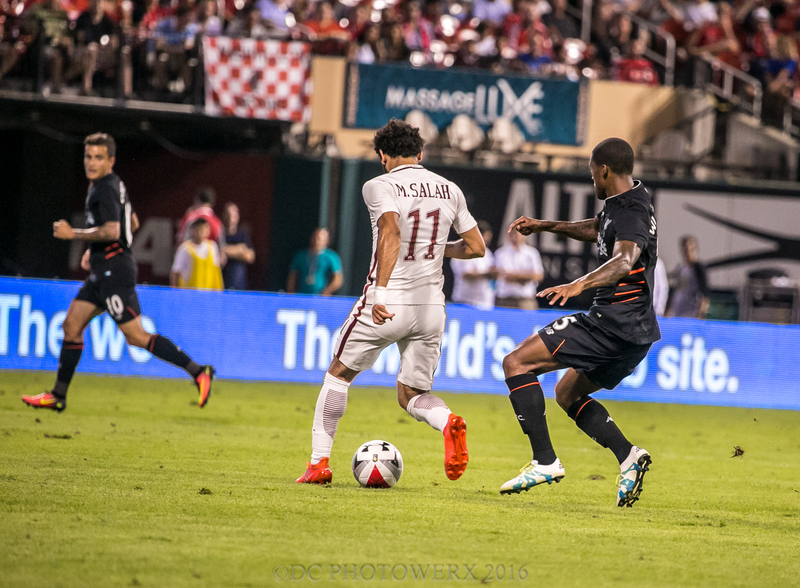 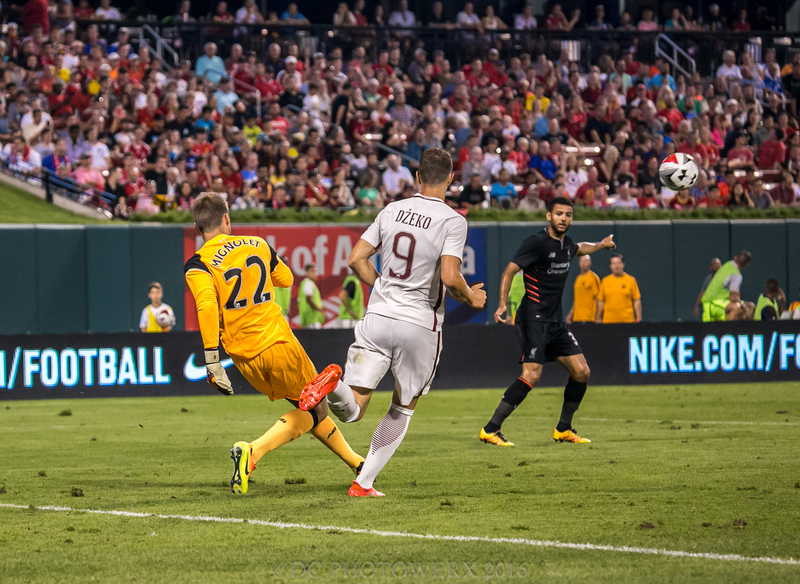 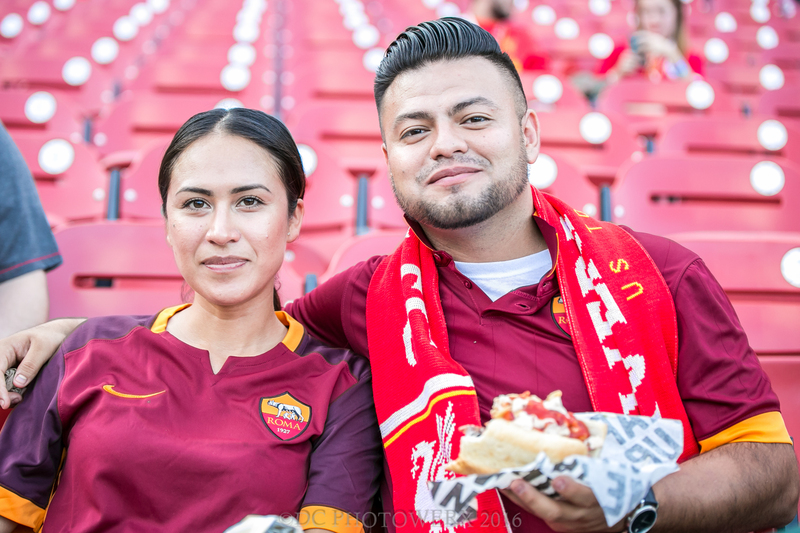 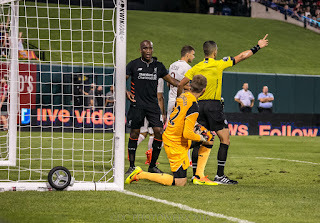 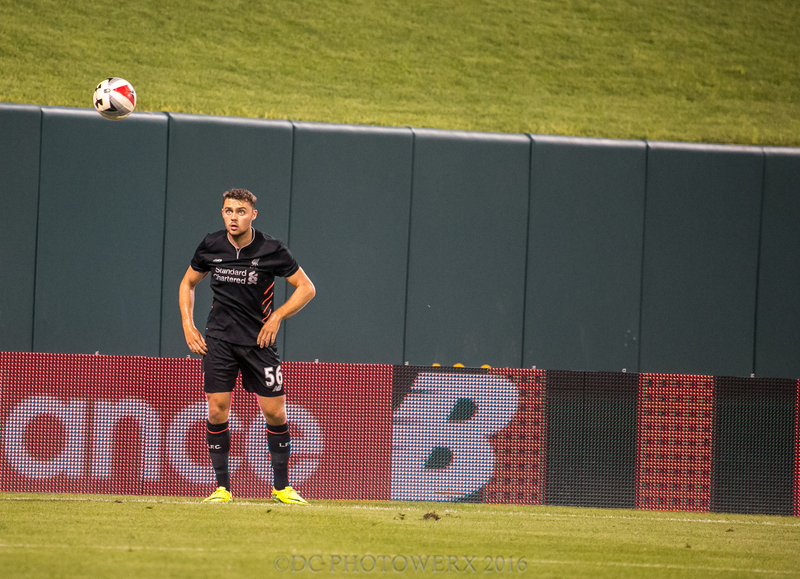 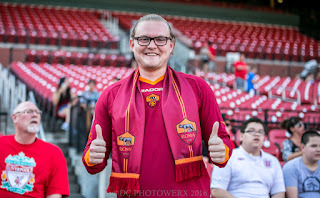 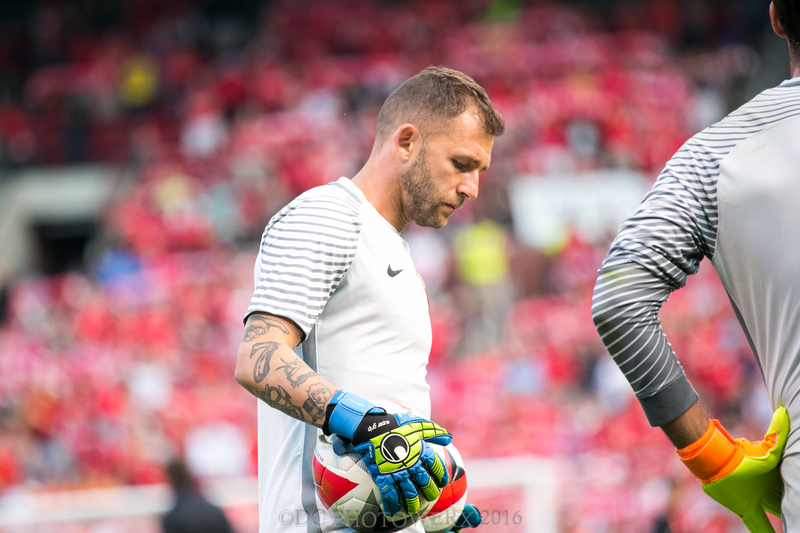 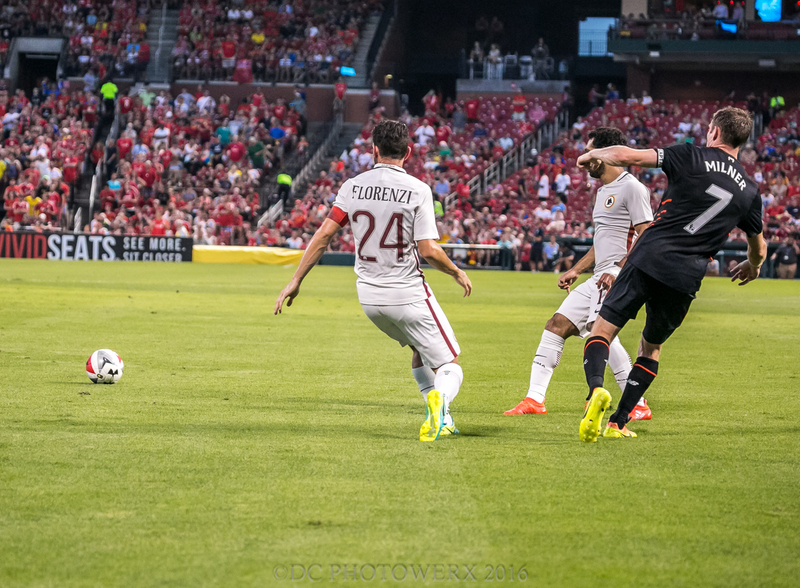 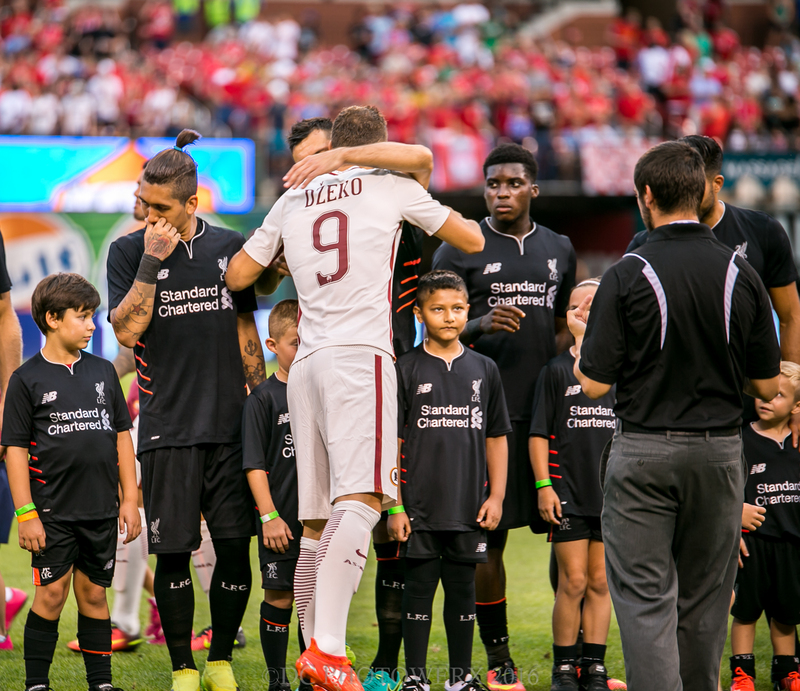 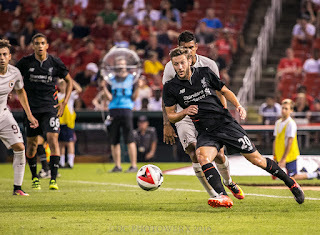 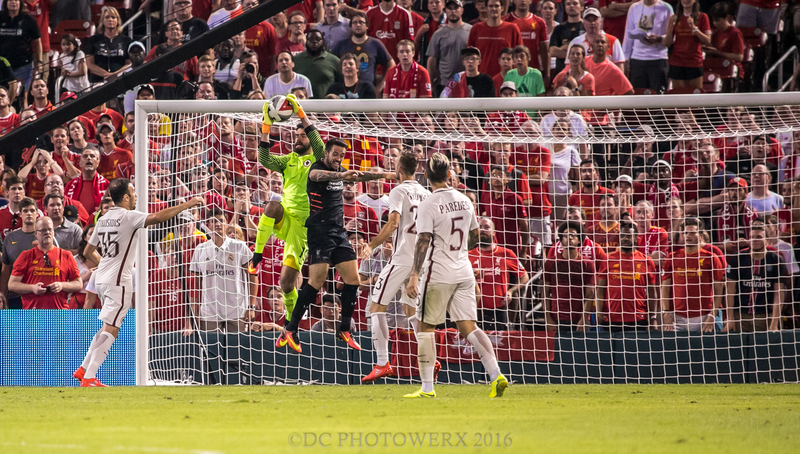 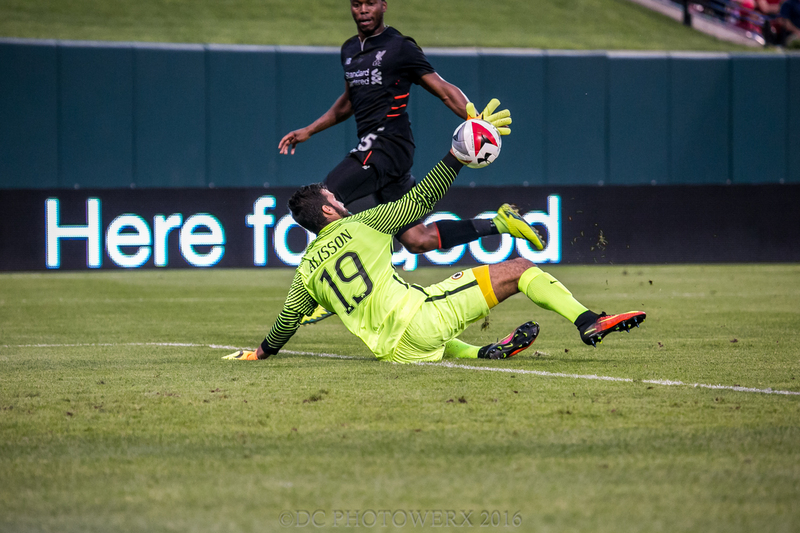 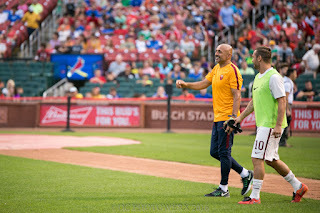 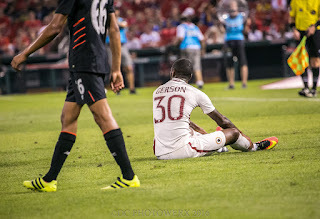 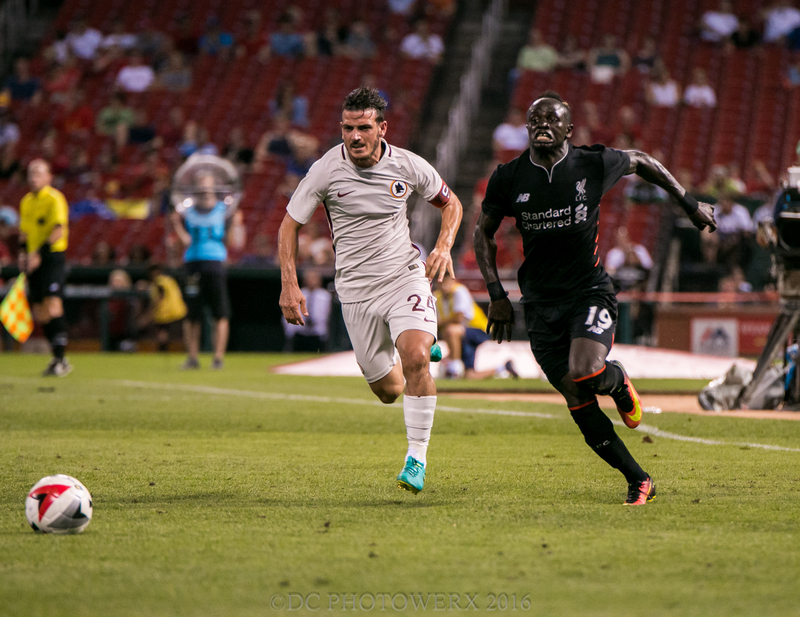 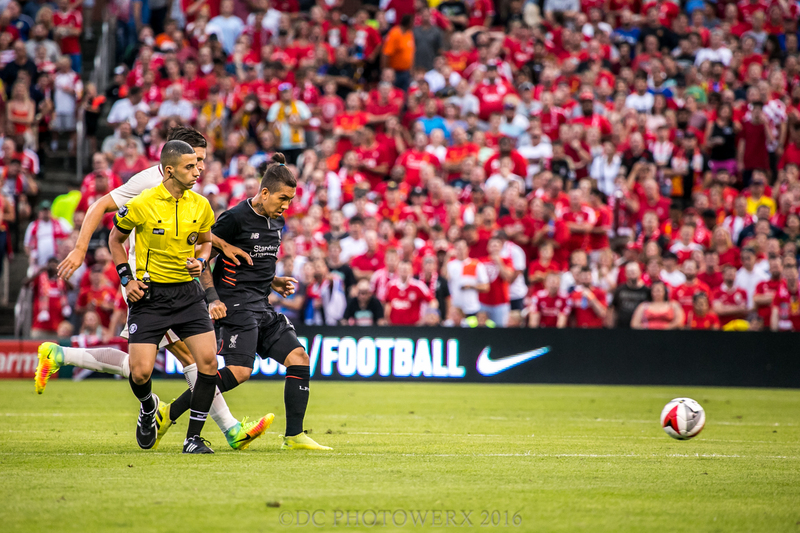 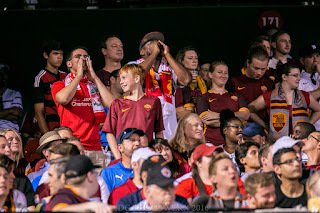 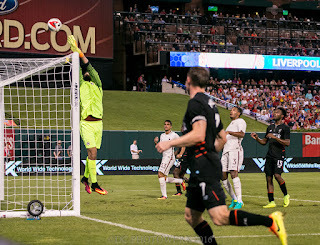 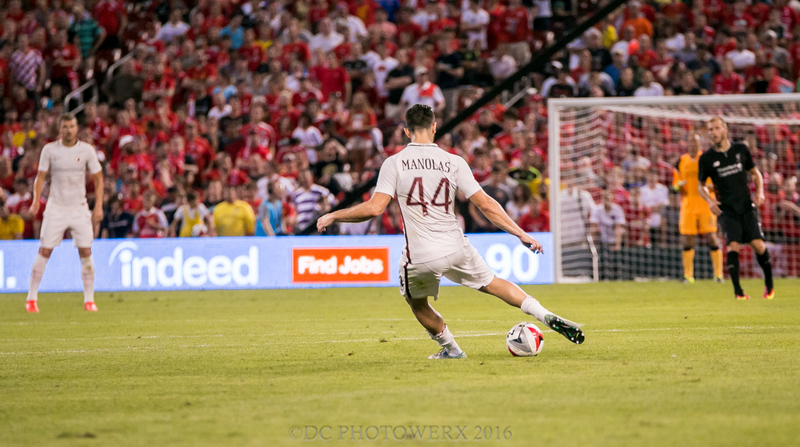 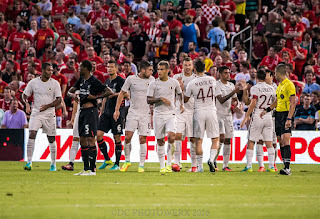 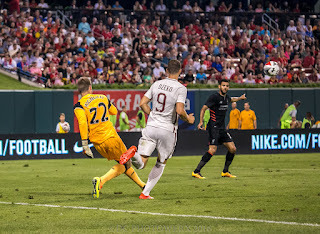 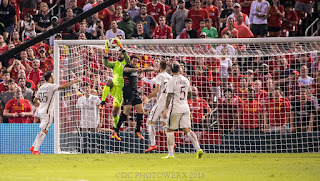 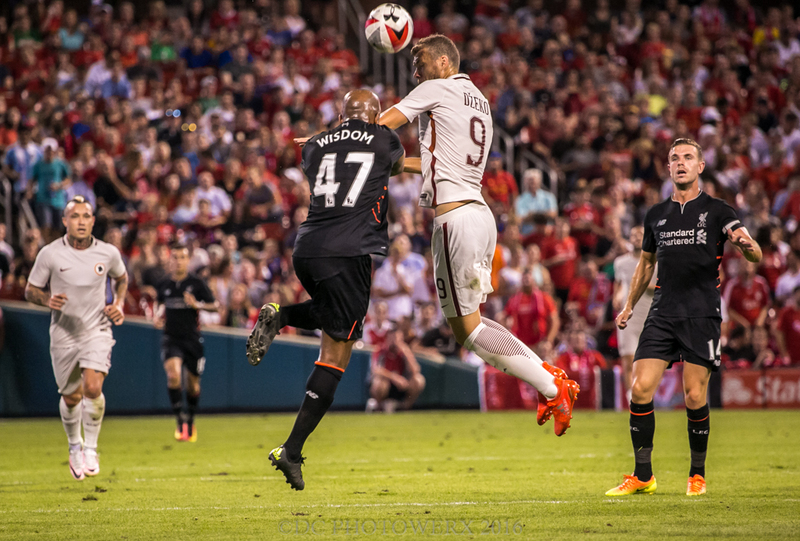 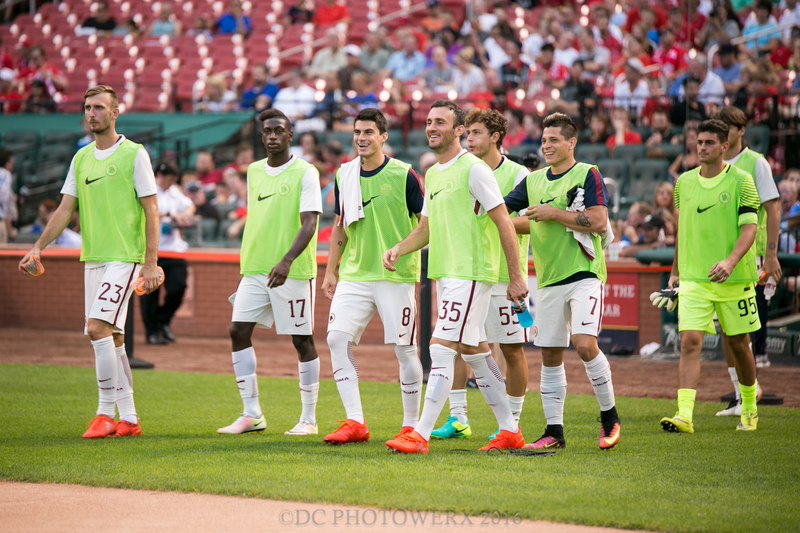 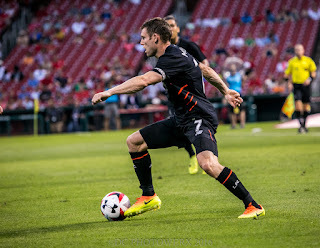 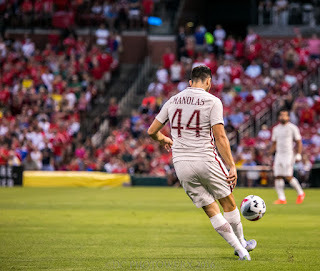 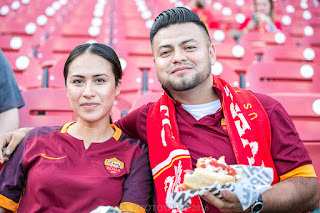 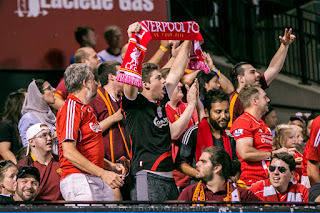 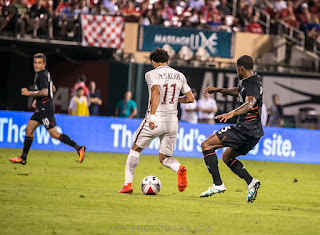 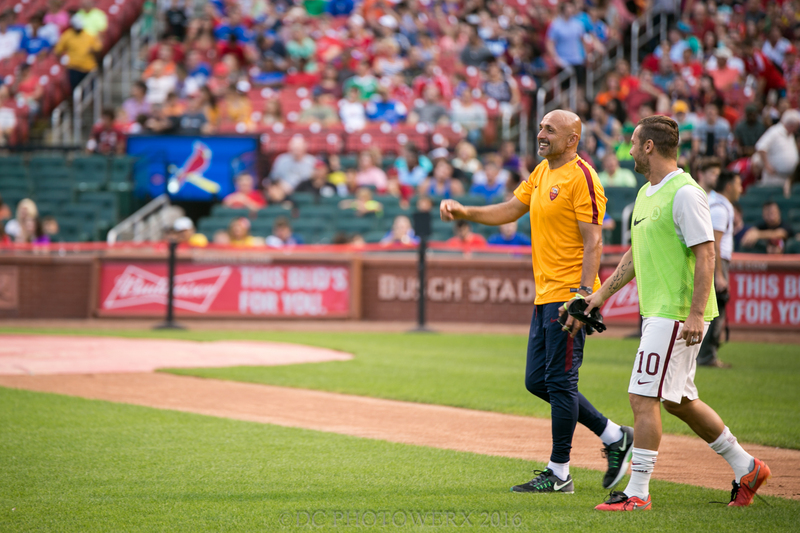 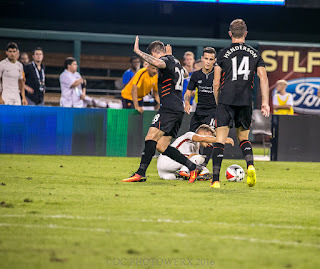 Tonight’s friendly match or as we call it, preseason, was played between Liverpool FC and AS Roma. 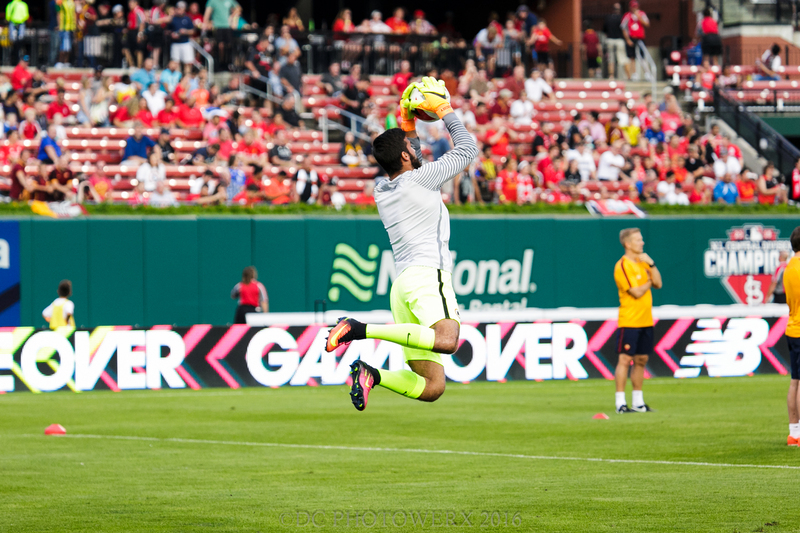 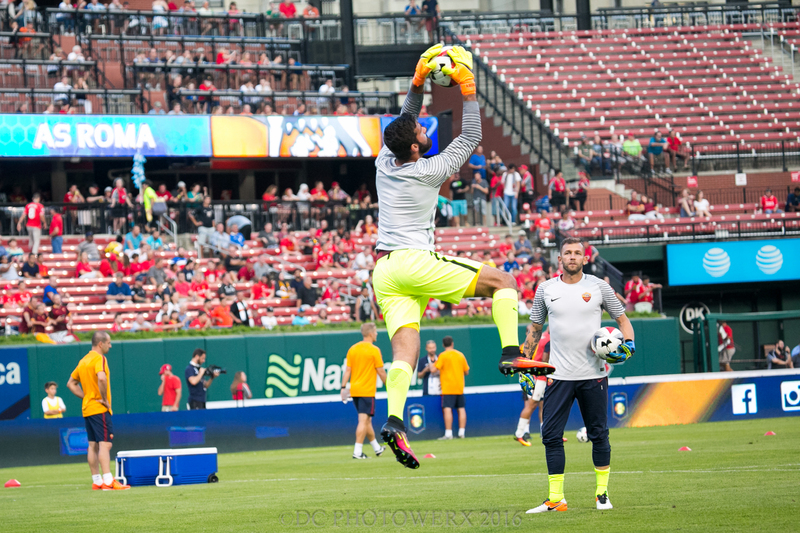 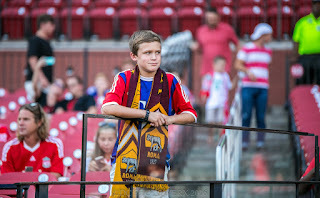 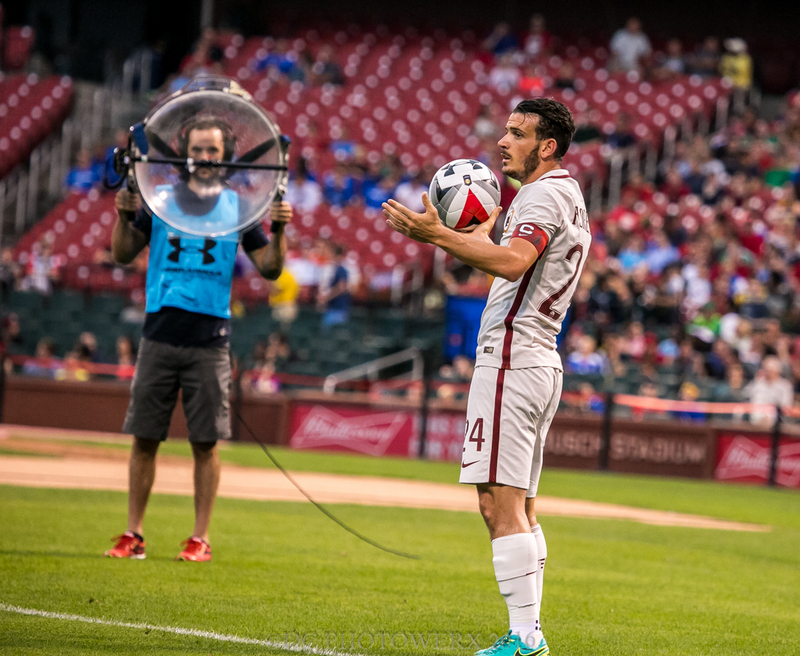 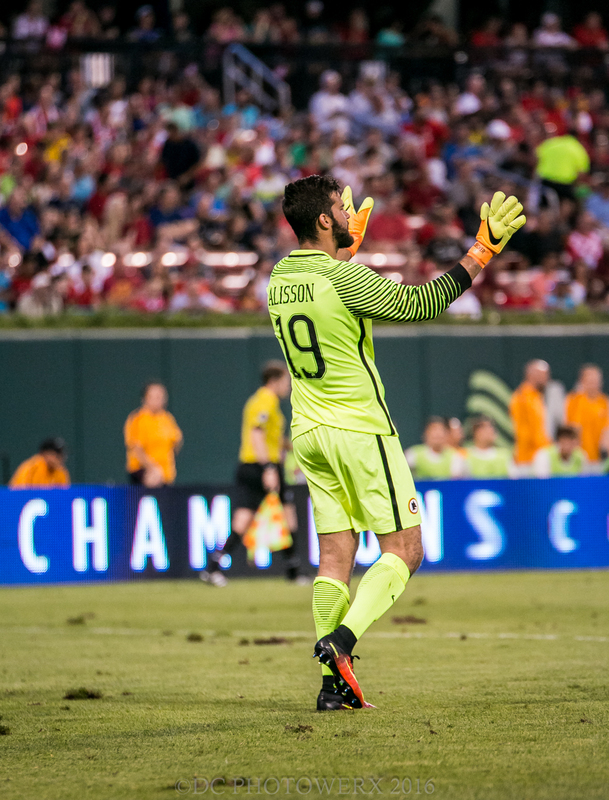 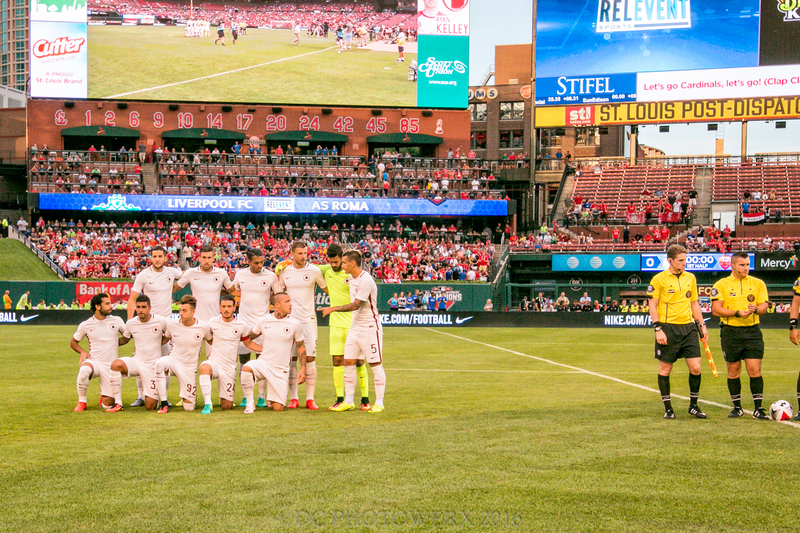 St. Louis has been in the market for a pro soccer team since it was announced that the NFL’s St. Louis Rams would be leaving town. 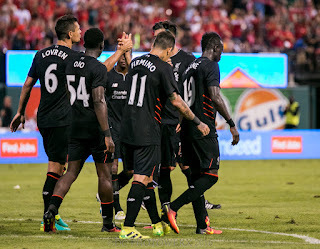 Liverpool FC, member of the English Premier League, was playing their third game in less than a week. 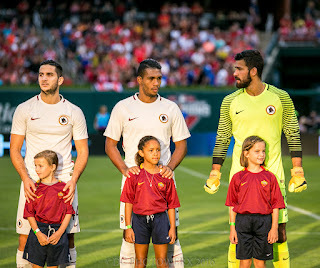 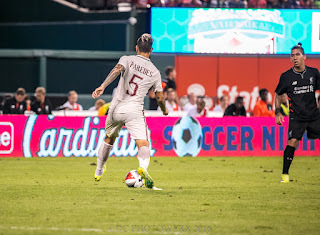 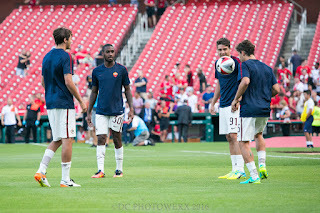 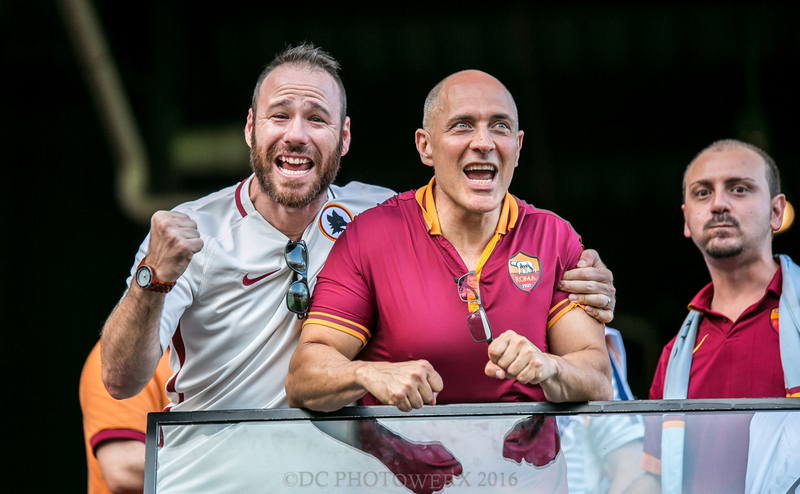 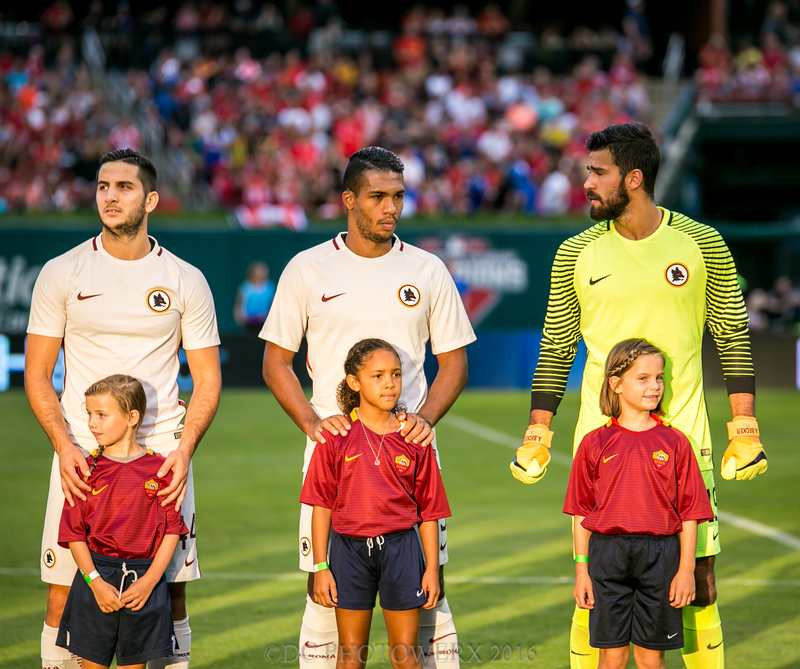 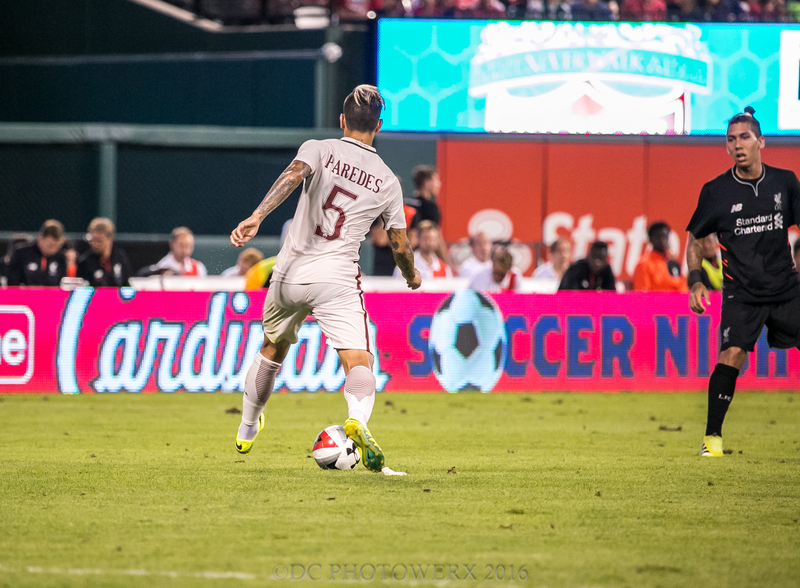 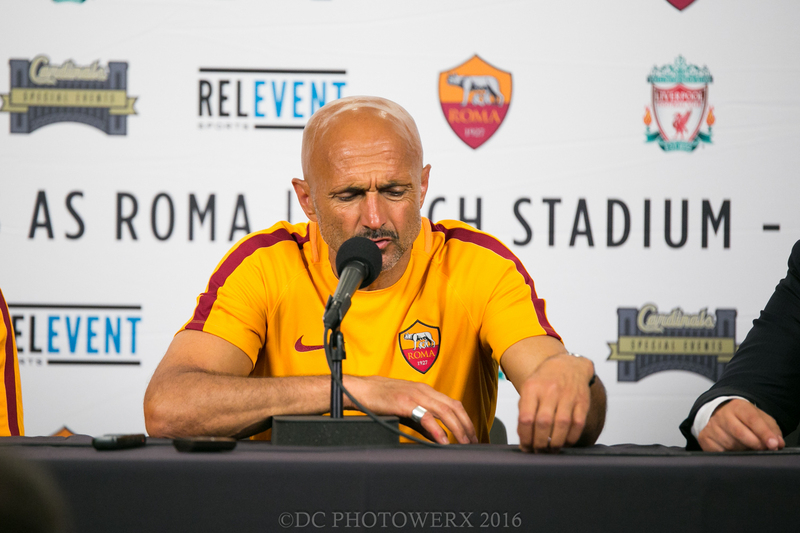 AS Roma, playing in Serie A, had a slightly less hectic schedule, as they have not played since July 17th. 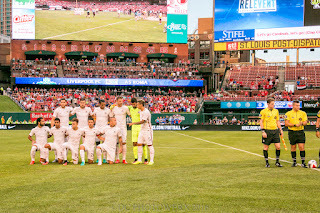 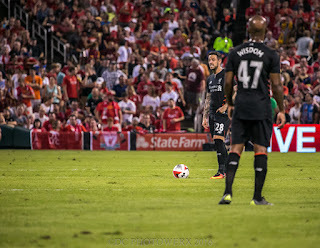 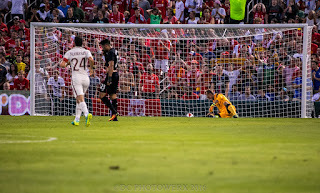 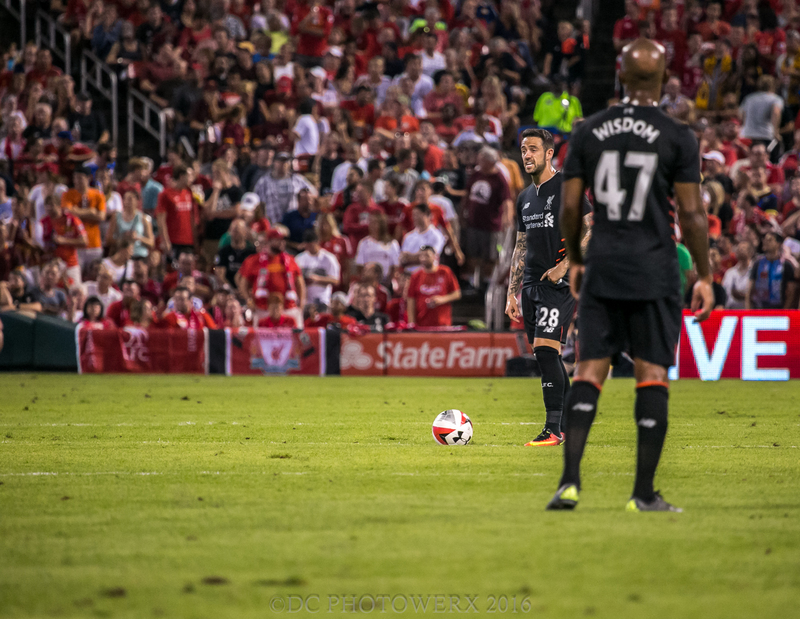 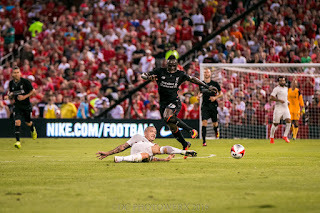 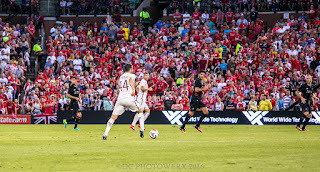 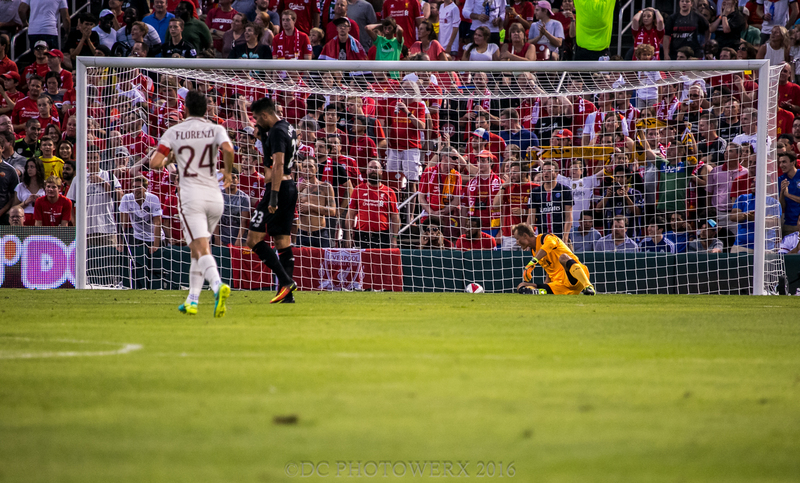 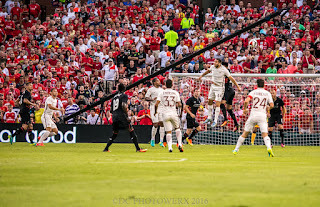 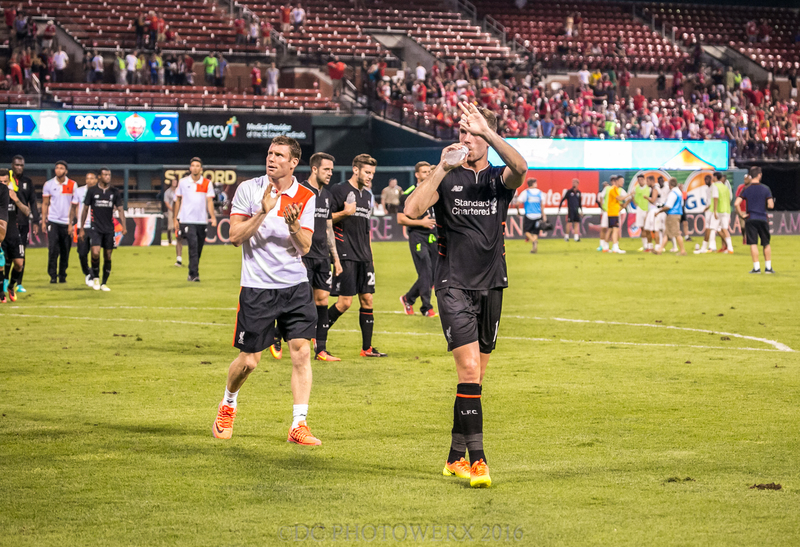 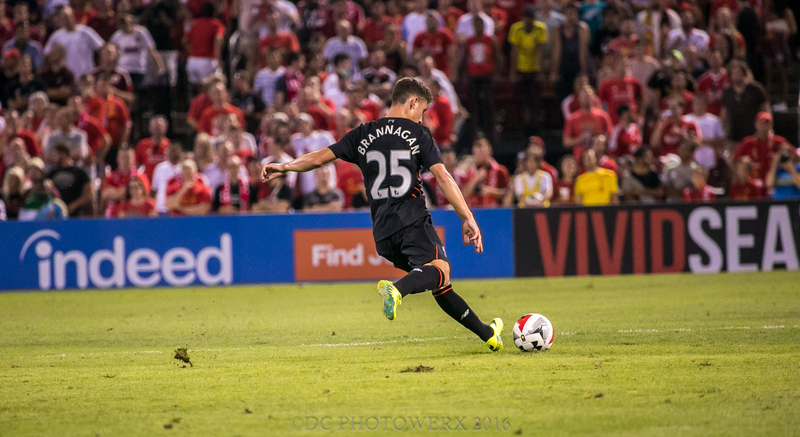 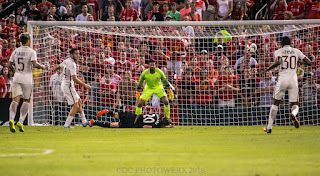 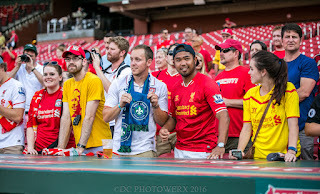 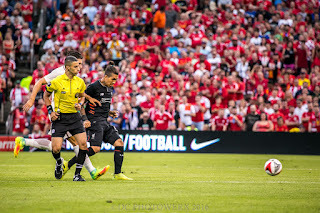 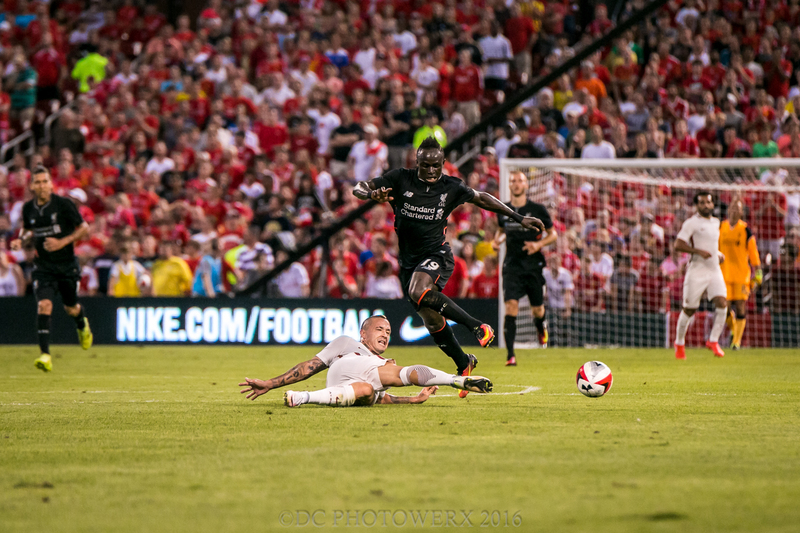 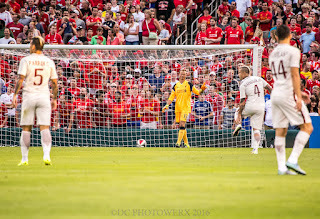 Both teams found it necessary to take much needed heat breaks during the match, being played at the height of an always sweltering St. Louis summer. 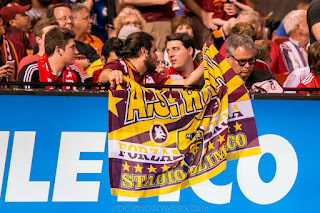 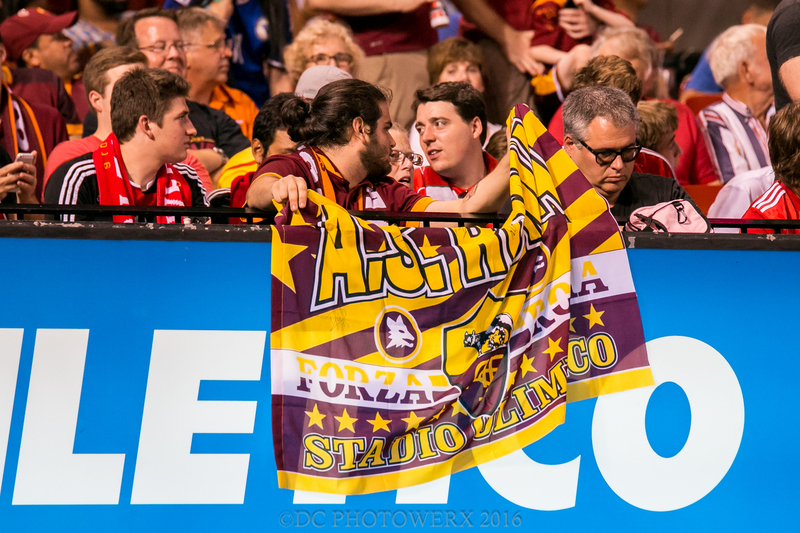 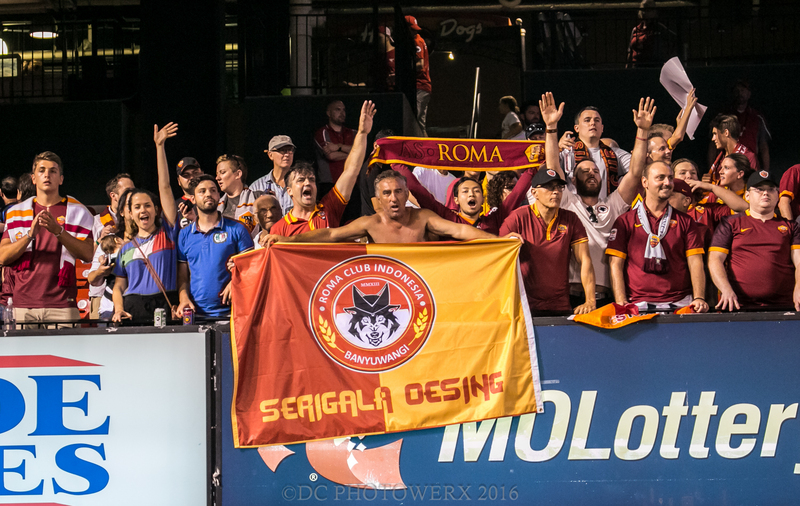 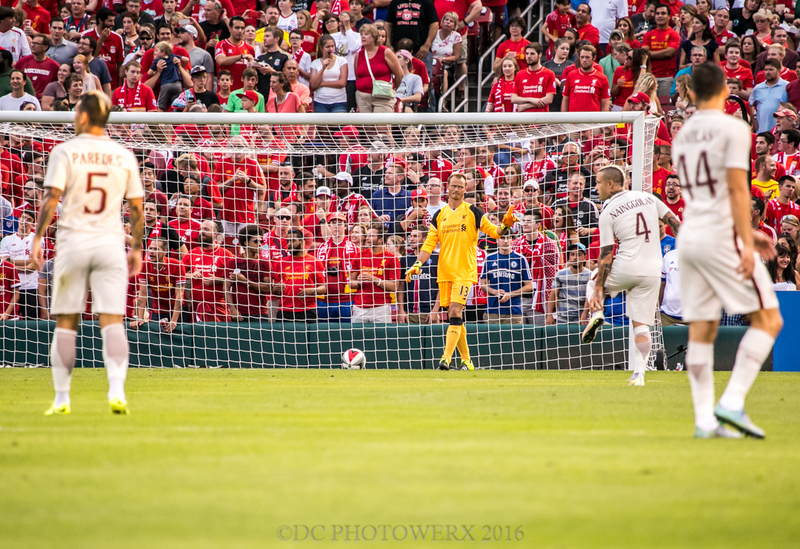 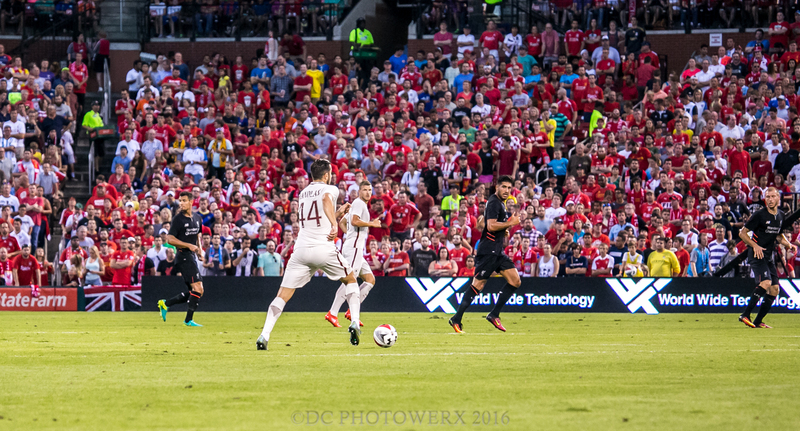 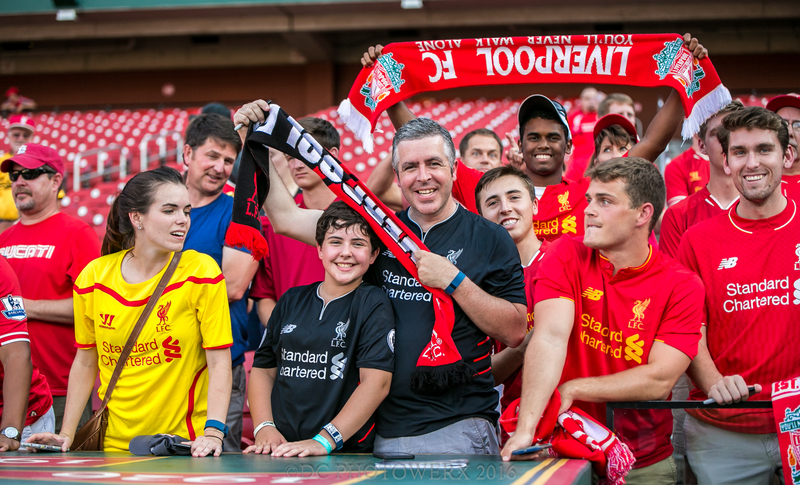 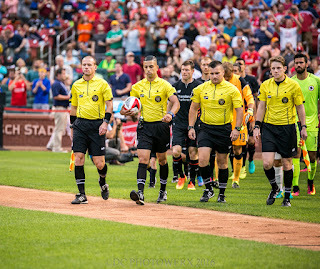 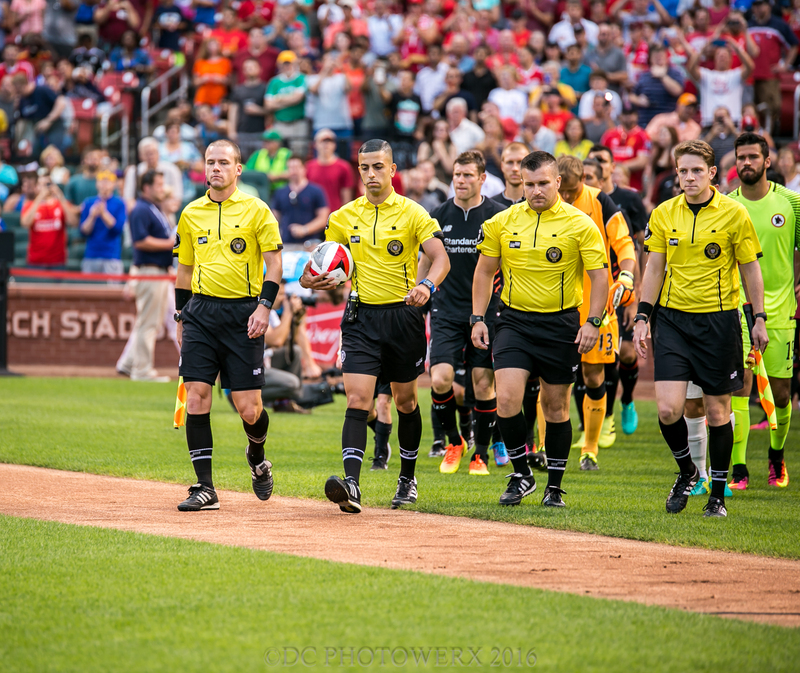 28,000+ attended this preseason match, with both teams well represented by their respective fans. 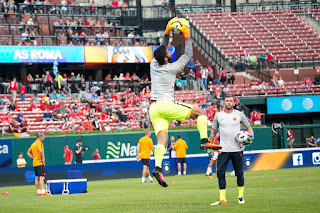 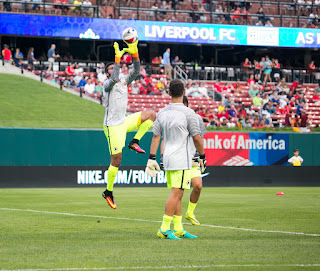 During Liverpool's warmups, a small but spirited group of fans sang along with the team song, "You’ll Never Walk Alone”. Although it was considered a friendly match, neither team lacked in competitive spirit, as some roughhousing took place on the field between both teams. 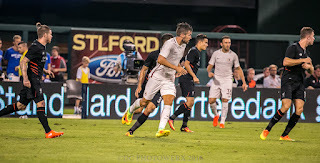 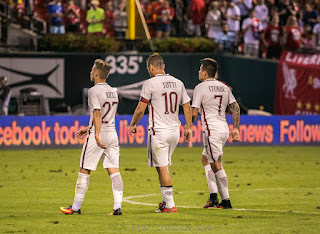 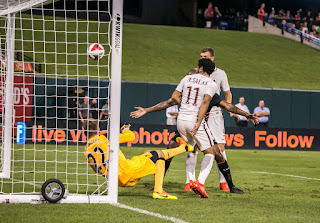 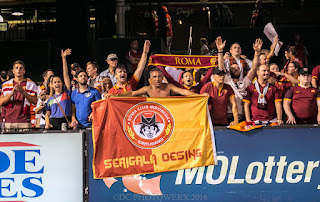 In the end AS Roma came out on top winning the match 2-1.